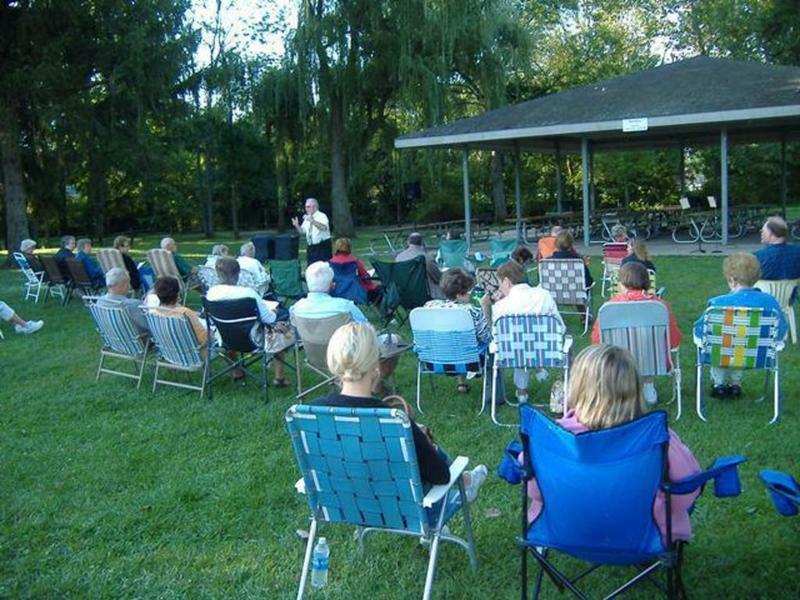 Church in the Park . 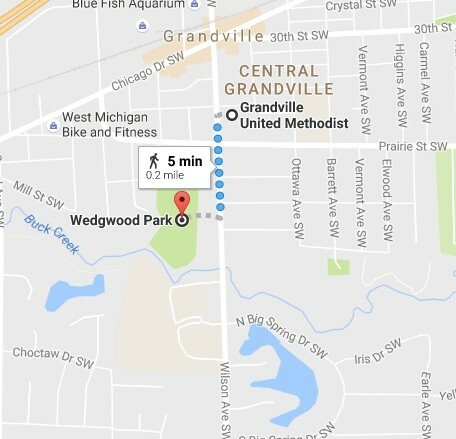 . .
From mid-June through Labor Day Weekend, Grandville United Methodist Church hosts a weekly community worship service in Wedgwood Park on Wilson Ave., beginning at 8:30 AM. All are welcome, from any church or no church at all! You are invited to bring your favorite lawn chair, (you might need a blanket) enjoy the morning sunshine and gentle breeze through the trees, with Buck Creek gurgling in the background. Join our church family gathered together for worship at Wedgwood Park!